A Mini car can really make a statement on the driver’s behalf. These unique cars are perfectly sized for modern life, and can be very useful to the modern city dweller or suburban road warrior alike. 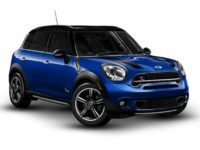 Easy to park, with wonderful handling, a Mini can be a great addition to your garage, and NJ Car Leasing is proud to offer the best lease deals on these distinctive autos. 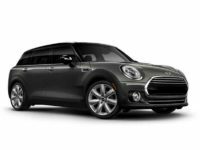 From the zippy Mini Convertible to the family-sized Mini Clubman, the range of Minis can surprise buyers and lease customers. Don’t let their size fool you however – these are some of the quickest, most reliable cars on the road today. NJ Car Leasing is pleased to offer the best deals in the business on them, thanks to our minimal overhead, efficient customer service, and winning financial circumstances. 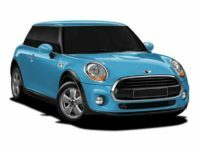 We can help borrowers of all backgrounds get the Mini auto of their dreams, and we can work with you too. We have seen it all before, and we can help you get the deals you have craved. Our auto team just won’t be beat, so give them a call today, and let’s get you into your new car of your dreams. Call us at 201-720-7316, and allow our customer service professionals to walk you through the next phase of car leasing. You won’t regret it. How does NJ Car Leasing position itself to offer the best auto lease deals in the market? It’s simple: our overhead is lower than almost anybody else. We boast a massive inventory, but thanks to our online leasing deals model, we are able to keep our costs minimal. As a result, we keep your costs minimal, and position you to get the best deals on the road today, especially on the Mini that you have always wanted. 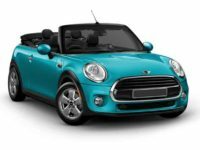 A Mini car with us can be an easily affordable situation for you, and we are uniquely positioned to make sure you get the best deals on the road. Give us a try today, and see if we can’t give you the auto lease you have always wanted and deserved. Our costs are low, so our prices are low. Call us right away, and let us take you through the steps you need to get into a Mini car today! 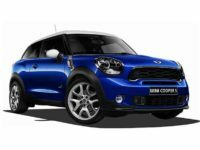 Mini Cars Can Get You Where You Need To Be – All For Great Deals! A Mini can be a great choice for an urban customer – its size and handling ability can make it a good fit for tight city streets and parking places. Our folks here at NJ Car Leasing can work out all of the details for you on a great new lease deal today. Our team is ready to work with you, and we can get you the Mini auto leasing deals that work best for you, today and tomorrow and beyond. Deals are to be had thanks to our low overhead costs, so give us a try today. Call us right away, and let’s work on the best Mini auto leasing agreements on the market today.